Boring style never has to darken your doorways again. 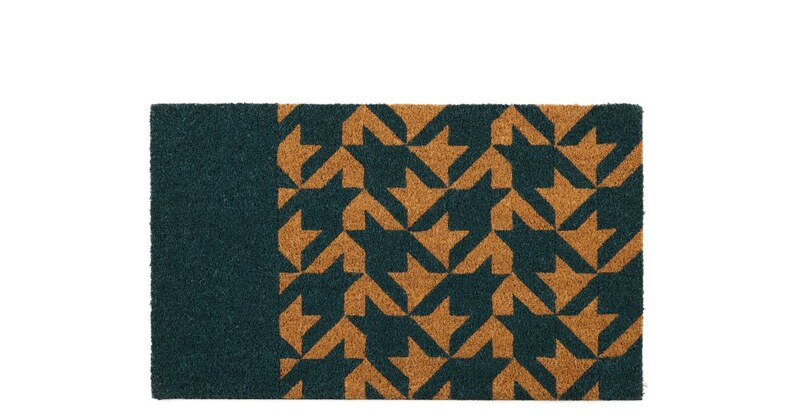 Meet Dogtooth, the doormat that ensures your guests always get a warm welcome. Check out Dogtooth’s bold graphic design. It’s classic dogtooth print in teal is a playful treat for any home. Function meet style. This doormat looks great and is made to last. You’ll want to leave your house everyday just to see it.